One of a number of games with this generic title. 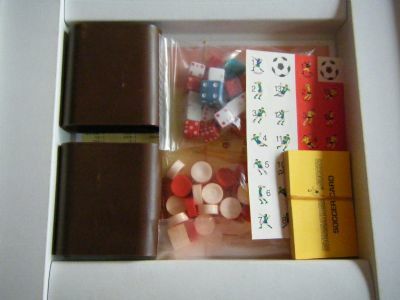 This is an American game that includes a whopping 26 dice in order to play the game. 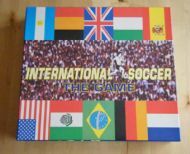 No mistaking that this is an international game! 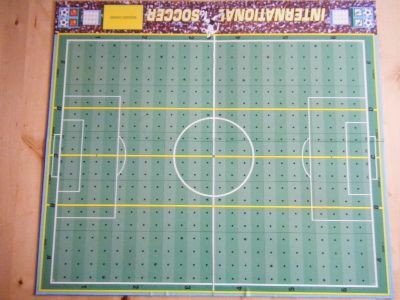 Typical pitch with grids marked as dots, the areas are marked as zones in true US style. 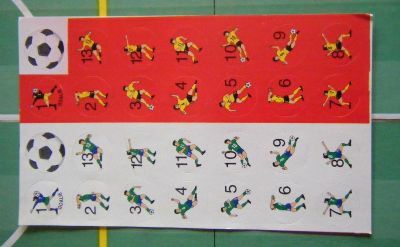 There are eight large game cards, one for each major footballing country. 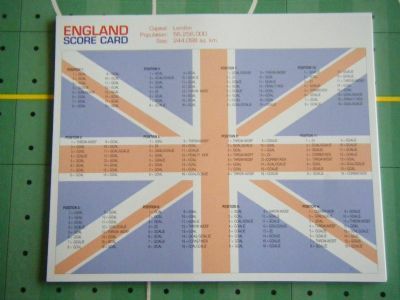 Bit of an error on the English flag version. As usual there are game cards to influence the outcome. Player bases and more dice than you can fit in a shaker. Quite a neat idea. 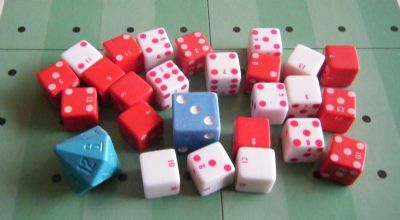 Each dice is different and is related to a specific player in the game thereby giving unique ability factors.